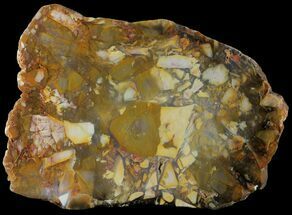 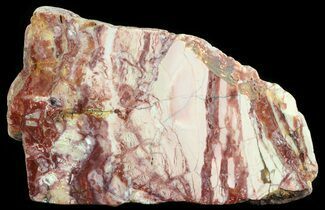 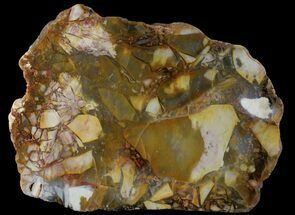 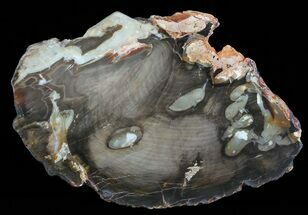 This is a 10.2" wide slab of petrified wood from Australia known is "Peanut Wood". 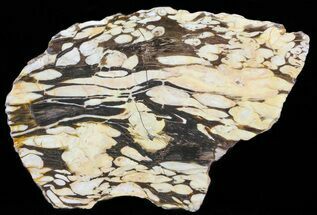 It gets it's name due to the fact, it is actually petrified driftwood that is full of boreholes from clam larvae commonly know as shipworms. 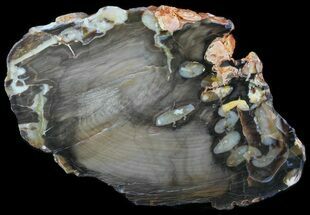 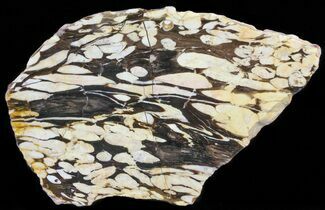 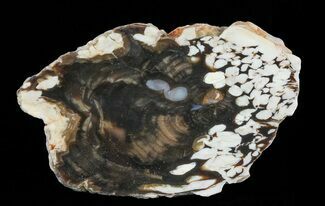 These boreholes were filled in by a white mineral during the fossilization process, giving this petrified wood it's unique appearance. 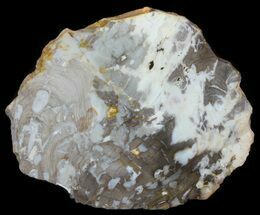 The wood itself is from Aruacaria, a type of conifer and is Cretaceous in age.